Yes, the vaporizer for dry herbs market is saturated, but we’re here to help. Check out our top picks for the best dry herb vaporizers in 2019. With vaping more popular than ever before, new dry herb vaporizers are hitting the market regularly. While this influx can make it hard to keep up, it also drives new innovation and technology that leads to better designs and more outstanding herbal vaping experiences. If you’re looking for the best dry herb vaporizer available today, we’re here to help. Here we list the best dry herb vaporizers of 2019, so you can find today’s top-rated portable or tabletop dry vaporizer that works best for you. What are Dry Herb Vaporizers? A dry herb vaporizer is a personal inhalation device that precisely and evenly heats dry herb materials and flowers to produce a pure botanical-filled vapor that can be inhaled. Vaporizers for dry herbs have surged in popularity over recent years, as more people look for a safer alternative to smoking. While vaporizers heat up the herbs, they never reach high enough temperatures to cause combustion, avoiding the harmful toxins and other byproducts that are created when smoking. Instead, dry herb vaporizers use convection or conduction heating to heat materials to their respective vaporization points, producing clouds of pure, clean vapor that better prioritizes the health of your lungs. Dry herb vaporizers come in various sizes and styles, allowing you to choose between handheld battery-powered devices for vaping while you’re out and about, and at-home units that plug into a power source and generally offer greater functionality and precision. When trying to find the best dry herb vaporizer of 2019 for you, first ask yourself whether you intend to use your vaporizer while out and about, at home, or both. Are you someone who is always on the go? These two best portable dry herb vaporizers offer portability and travel-friendly designs without sacrificing performance. The CFX Vaporizer from Boundless allows you to enjoy the revitalizing experience of a full-fledged dry herb vaping session using a conveniently portable device. Equipped with precise heating capabilities (100°F-430°F) and an all-ceramic chamber, the Boundless CFX is built to accommodate every dry herb vaping preference. With its powerful 2500 mAh battery, the sleek, palm-friendly Boundless CFX herb vaporizer is able to reach your chosen temperature in a rapid 20 seconds, perfect for quick, discreet draws throughout the day. Convenient up-down buttons and a large 1.77-inch HD digital display make it easy to dial in on your favorite vaping settings. As a bonus for those who value versatility, the Boundless CFX dry herb vaporizer also works with botanical concentrates like extracts and waxy oils. 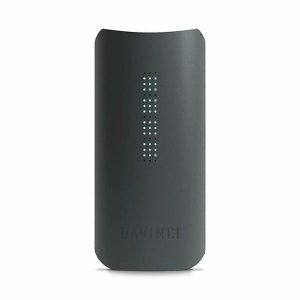 Minimalists will appreciate the sleek design and seamless performance of the DaVinci IQ Vaporizer. This innovative portable dry herb vaporizer touts both precision temperature capabilities and Smart Path Technology, allowing you to choose between fully controlling your session or selecting one of four temperature range programs for a uniquely personalized vaping experience. If you value tasty hits, the DaVinci IQ should be on your radar. An industry-exclusive all-ceramic zirconia vapor path ensures your dry herb draws will be smooth and flavorful. A replaceable 18650 battery powers the DaVinci IQ, while a grid of 51 LED dots along its front serve as the display, covertly conveying temperature and settings. Available in multiple color options, the IQ dry herb vaporizer from DaVinci is equipped with Bluetooth technology, allowing those who opt for greater control to access additional setting options using the DaVinci IQ App. For dry herb enthusiasts interested in investing invest in a premium device for at-home vaping experiences, our two best tabletop dry herb vaporizers offer unparalleled functionality, precision, and efficiency to always put flavor first. Offering unmatched performance and functionality, the Storz & Bickel Volcano has undisputedly been the market’s top dry herb vaporizer from the time it was initially released over a decade ago. Built for dry herb vaping connoisseurs, the Volcano Classic is a forced air vaporizer that pumps clean, pure vapor into a balloon for you to savor over time or share with others. 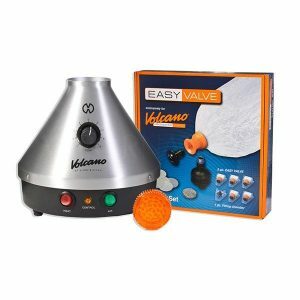 Utilizing true convection heating, the popular Volcano dry herb vaporizer from Storz & Bickel dehydrates and heats your favorite herbal materials evenly and efficiently, producing combustion-free, flavorful clouds of vapor that are unrivaled. While always ready for vaping dry herbs, the Storz & Bickel Volcano will also vaporize your favorite concentrates. The extremely popular and powerful Arizer Extreme Q dry herb vaporizer delivers powerfully flavorful clouds of botanical vapor at a more accessible price. Boasting precise temperature control, pure convection heating, and a 100% ceramic heating chamber, the Extreme Q from Arizer is a great tabletop dry herb vaporizer choice for anyone interested in savoring the botanical benefits of herbs at home. The Arizer Extreme Q Vaporizer features a powerfully dynamic forced air heating system and allows you to draw vapor from a balloon bag or whip attachment. A remote control and clear-view digital LCD display makes managing temperature settings easy. This upgrade to the original CFC Vaporizer from Boundless offers enhanced airflow and water pipe adaptability for smooth, flavorful herbal vapor. Nearly unheard of for a dry herb vaporizer under $100, the CFC 2.0 dry herb vaporizer from Boundless touts precise temperature control and a 0.5-gram ceramic chamber, putting you in the driver’s seat of your vaping experience. With its sleek black, ultra-durable design, the Boundless CFC 2.0 is a dry herb vaporizer that will happily accommodate you wherever life leads. Its lighting-fast 18650-capacity internal battery produces clouds of dry herb vapor in seconds, so you can take quick, discreet draws whenever the feeling arises. The Boundless CFC 2.0 even lets you make your hits smoother and cooler with its easily-attachable water pipe adapter. Even seasoned dry herb vaping enthusiasts will appreciate the high performance and quick-heating capabilities of the KandyPens K-Vape Vaporizer. This highly popular portable dry herb vaporizer heats in less than 30 seconds and comes with three predetermined temperature settings (360°F, 380°F, 420°F) for hassle-free vapor personalization. The K-Vape dry herb vaporizer is the first from KandyPens to utilize true convection heating, ensuring combustion-free, respiratory-friendly vapor. 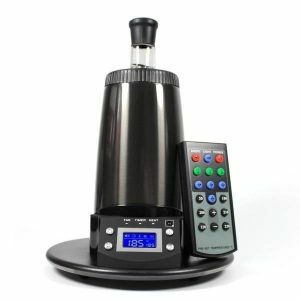 Its 0.6-gram capacity stainless steel heating chamber heats a generous amount of dry herbs. The K-Vape herbal vape also makes managing power and draws easy with its single-button functionality. The KandyPens K-Vape is an ideal dry herb vaporizer for anyone hoping to get the most bang from their buck. For consumers new to vaping botanical dry flower, we’ve identified the best dry herb vape pen that offers a simplified vaping experience. Those new to vaping dry herbs will appreciate the straightforward simplicity and compact size of the Atmos Jump Vaporizer. The Jump herbal vaporizer from Atmos features a single optimized temperature setting, eliminating the hassle of having to find the right temperature. Accessing the heating chamber to packing the Atmos Jump with your favorite dry herbs takes just a gentle counterclockwise twist on the mouthpiece. The Atmos Jump dry herb vaporizer features single-button functionality, simplifying use. 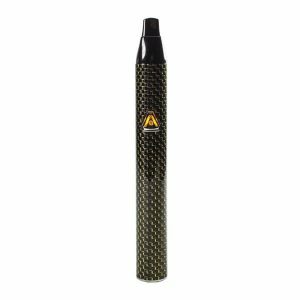 Available in carbon black, carbon gold, red, blue, and green color options, the Atmos Jump vaporizer has a convenient 4-minute auto shut-off feature, a highlight particularly for beginners who are still getting the hang of the vaping process. 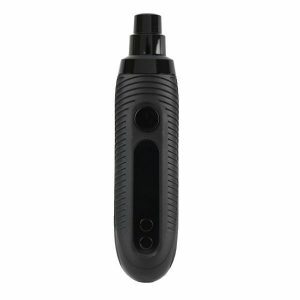 Vaping beginners will welcome how convenient, quick, and easy-to-use the Atmos Jump makes the vaping experience. 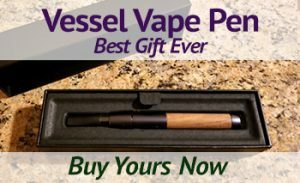 True dry herb vaping maestros seeking the best of the best in flavor, precision, and efficiency will no doubt appreciate this high-caliber dry herb vaporizer. Despite its incredibly compact 5.5-inch height, the Mighty Vaporizer from Storz & Bickel touts both high performance and efficiency. 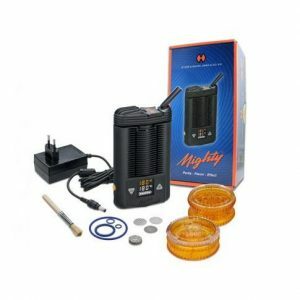 Offering patented full hot air convection with additional conduction heating and a 1.4cm3-filling chamber, the Mighty vape is an ideal vaporizer for herb vaping connoisseurs who value flavor first. 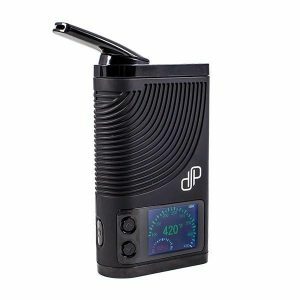 This battery-powered dry herb vaporizer ensures efficient and vaporization from the very first tasty draw. The Mighty herbal vaporizer is equipped with precise temperature control (104°F to 410°F), allowing you to tailor the flavor and cloud production to your personal vaping preferences. Not only is vapor quality of the Mighty on par with most tabletop dry herb vaporizers, it’s also easy to use. It features a bright digital LED screen and convenient up-and-down buttons for temperature control. While the Storz & Bickel Mighty Vaporizer has been around since 2014, it continues to reign as the best dry herb vaporizer, particularly for those who enjoy vaping on the go. Keep in mind that it is a bit big for most pockets, but will easily fit in bags or purses. The Best Dry Herb Vaporizers of 2019 was posted on medical marijuana inc. The EC system is crucial to your health and wellness. Here’s how this important self-regulatory network works to keep you balanced, and how you can support it with CBD oil. As you set out to learn more about cannabidiol (CBD) oil and how it naturally promotes wellness, undoubtedly you will come across a reference to the EC system. The EC system, or endocannabinoid system, is the reason CBD oil is able to encourage balance and optimal functioning in your body. Are you curious as to how the EC system works and its purpose? Here we dive into the science behind the EC system, and discuss how with CBD oil supplements you can support its efforts to keep you balanced. What is the EC System? The EC system is a major signaling network responsible for keeping a wide array of our body’s functions balanced and running at their best. Everybody has an EC system, which works continuously to keep important functions like mood, sleep patterns, appetite, memory, metabolism, immune response, and more, balanced and running optimally. Anytime changes in the external environment cause a function under the EC system’s watch to become imbalanced, the EC system responds by triggering a series of chemical reactions designed to bring that function back to where it should be. All mammals rely on the EC system to keep functioning running optimally, even your pets. How Does the EC System Work? Together, these three mechanisms work together to monitor many of your body’s functions and make adjustments as needed whenever they become imbalanced. Let’s say, for example, that your immune system response becomes imbalanced and begins to dysfunction. Your EC system responds by triggering the release of enzymes that synthesize cannabinoids, or endocannabinoids. What do endocannabinoids do? Once synthesized, these body-made cannabinoids — Anandamide and 2-arachidonoylglycerol — bind to cannabinoid receptors located throughout your body. The EC system predominantly consists of two types of endocannabinoid receptors: CB1, located primarily in the brain and central nervous system, and CB2, most densely populated throughout the peripheral nervous system. Once activated by cannabinoids, these cannabinoid receptors adjust the passage of proteins between cells, sending out signals for the body to make the adjustments necessary to get your function, in this case your immune system response, back to where it should be. Once a function is back in balance, the EC system “turns off” the process by triggering the release of enzymes that break down cannabinoids so they no longer interact with receptors. Incorporating cannabinoid products like CBD oil into your daily wellness routine can help support your EC system and its efforts to keep the body and its functions balanced. CBD oil is a botanical extract made from high-CBD, low-THC hemp. CBD, short for cannabidiol, is one of over 100 plant-derived cannabinoids (phytocannabinoids) presently identified in cannabis plants. In hemp, CBD dominates the plant’s makeup. Just like body-synthesized endocannabinoids, plant-derived cannabinoids like CBD interact with your EC system’s cannabinoid receptors. Through its interaction with cannabinoid receptors, CBD stimulates the EC system, encouraging the regulatory system to more efficiently keep functions level. As you read more about the endocannabinoid system and CBD, you’ll discover that CBD doesn’t directly activate the EC system’s CB1 or CB2 receptors. Instead, CBD interacts indirectly with them and works to suppress the CB1 and CB2 activating qualities of other cannabinoids. Most people do very little to support the health of the EC system, because cannabinoids have not been part of the average diet for decades. Regularly taking CBD oil products as dietary supplements can augment the body’s own cannabinoids for a more well-operating EC system. While derived from cannabis, CBD is not intoxicating. This means it will not cause any temporary euphoric effects like THC, or tetrahydrocannabinol, a cannabinoid associated with medical marijuana. Hemp naturally contains no more than 0.3 percent THC by dry weight. As such, CBD oil derived from hemp contains only trace levels of THC, far less than the amount needed for intoxicating, or a “high.” Supporting the EC system with CBD oil has been found to be safe with no serious adverse side effects. This is particularly beneficial for anyone interested in the natural balancing properties of cannabinoids yet want to avoid intoxicating effects. Once extracted from hemp, pure CBD oil can be taken on its own or infused into various types of products, including CBD tinctures, CBD capsules, CBD vape oil, CBD topicals and body care products, and more. It can also be refined to create concentrated products like CBD isolate. There are even CBD products for pets. With all the contradictory and confusing writings out there about the EC system, it can be hard to determine what is truth and what is misinformation. There are several misconceptions about the EC system that regularly pop up if you search, “What is the EC system?” Here we address the four most common EC system-related myths to help clarify any confusion you have about the EC system and how it works. Myth #1: The EC system emerged in the human body because of cannabis use. Scientists did first discover the EC system by retracing the metabolic pathway of cannabis-derived cannabinoids. However, the EC system did not emerge in the human body because of the use of cannabis and absorption of its cannabinoids. The EC system was already in place, allowing cannabinoids like CBD to interact with the system and encourage its performance. Myth #2: CB1 receptors are only in the brain and central nervous system, while CB2 receptors are only in the peripheral nervous system. While it’s true that CB1 and CB2 receptors are most heavily concentrated in these areas of the body, both types of receptors are more widely distributed and found on cells all throughout the body. Myth #3: THC binds to CB1 receptors and CBD binds to CB2 receptors. Like all cannabinoids, THC and CBD both interact with the EC system and its specialized cannabinoid receptors, CB1 and CB2. However, while THC directly binds with both CB1 and CB2 receptors, CBD has little affinity for the two receptors and doesn’t bind to either. Instead, it acts as an indirect antagonist and suppresses the receptors’ abilities to be activated by other compounds. Myth #4: Cannabinoids are only found in cannabis plants. Cannabinoids and cannabinoid-like substances that interact with the EC system are actually found in many plants. Outside of hemp and marijuana, cannabinoids are found in Echinacea, electric daisy, helichrysum umbraculigerum, liverwort, black pepper, cacao, black truffles, and more. There have been thousands of studies done on cannabinoids and their potential benefits. Learn even more about the EC system and how its efforts can be supported through the use of CBD oil products by visiting our CBD Oil Education page. Russo, E.B. (2004, Feb-Apr). Clinical endocannabinoid deficiency (CECD): can this concept explain therapeutic benefits of cannabis in migraine, fibromyalgia, irritable bowel syndrome and other treatment-resistant conditions? Neuro Endocrinology Letters, 25(1-2), 31-9. The Science Behind the EC System was posted on medical marijuana inc.
Understanding the Many Medical Marijuana Uses was posted on medical marijuana inc.
CBD is a fascinating phytocannabinoid with many qualities. Here we reveal 10 super unique CBD facts you may be surprised to learn about. It seems that CBD is everywhere you look these days. Media and news outlets have caught the CBD wave, and have helped spread the word about the all-natural cannabinoid and its benefits. Still, there is probably so much that you don’t know about CBD, even with all the CBD facts that are out there. Cannabis has a long history, but only over the last decade or so has CBD oil surged in popularity as a dietary supplement to promote wellness. CBD, or cannabidiol, is an all-natural cannabinoid found in cannabis that supports one of the body’s largest self-regulatory systems. Looking to learn more about CBD? Here, we reveal the top 10 most unique CBD facts. With so much misinformation on the internet about CBD, a common misconception is that CBD only comes from one type of cannabis plant. In reality, CBD is found throughout the stalks, flowers, stems, leaves and seeds of both hemp and marijuana. Yes, hemp and marijuana can be sources of CBD. However, marijuana is naturally lower in CBD than THC, or tetrahydrocannabinol, the intoxicating compound known for its euphoric properties. In hemp, CBD dominates the plant’s makeup. What does this CBD fact mean? Hemp’s naturally higher levels of CBD make it an ideal source for CBD extract products like CBD oil. Hemp cultivars also grow much faster than marijuana, allowing farmers to plant multiple hemp crops a season for a more environmentally sustainable and conscious CBD product. With that said, there are thousands of unique varieties of hemp, and not all contain the same percentages of CBD. The cultivars used to create CBD oil, in general, contain significantly higher concentrations of CBD than others. CBD rightfully garners much of the attention in the cannabis industry due to its natural benefits. But, did you know that it is just one of more than 100 cannabinoids scientists have so far discovered? Along with THC, CBD is the most prominent of the many cannabinoids found in cannabis. Outside of these two well-researched compounds, however, are dozens more present at low levels. Like CBD, these cannabinoids interact with the body’s native system and elicit various natural effects. Some of the more well-known cannabis-derived cannabinoids, or phytocannabinoids, that are found in cannabis plants include cannabichromene (CBC), cannabinol (CBN), cannabigerol (CBG), tetrahydrocannabivarin (THCV), cannabidivarin (CBDV), delta-8-tetrahydrocannabinol (Δ8-THC), cannabidiolic acid (CBDA), and tetrahydrocannabinolic acid (THCA). While researchers have identified many cannabinoids, they have primarily focused their efforts on studying and understanding how CBD and THC influence the body’s systems. Many studies have explored CBD oil effects and CBD oil benefits, as scientists look to learn more about potential CBD hemp oil uses. Not all cannabis contains the same amount of cannabidiol. There are now thousands of unique cannabis strains available to consumers. On a chemical level, these strains differ in their make-up of their cannabinoid content, providing various CBD concentration options. Thanks to crossbreeding cannabis growers are able to cultivate cannabis plants that contain high levels of CBD. These high-CBD strains, also referred to as CBD-rich strains, have become a popular choice for anyone interested in the natural effects of cannabinoids while maintaining a clear head. Here’s a fun CBD fact: When Medical Marijuana, Inc. was searching for the perfect cannabis seed to introduce CBD oil products to the market, our experts first tested a total of 3,000 possible varieties to find the perfect hemp cultivar that contained the optimum level of cannabidiol. CBD is regularly classified as a “non-psychoactive” compound nearly everywhere it is mentioned. What people mean when they describe CBD in such a way is that it doesn’t elicit any temporary euphoric effects. This CBD fact is true: CBD is non-intoxicating and has shown to have no serious side effects, which is why many feel comfortable to buy CBD oil for all of their family members, including children and seniors. While it is correct to say that CBD won’t cause a “high,” it is incorrect to describe it non-psychoactive. The term “non-psychoactive” means that a substance does not affect the mind, which isn’t an accurate description of CBD. The true cannabidiol fact is that CBD has demonstrated that it influences one of the body’s major native regulatory networks, the endocannabinoid system. CBD’s interaction with the endocannabinoid system does alter the release of neurotransmitters in the brain and elsewhere. In doing so, CBD encourages balance in the body and its functions. This is one of the most important CBD facts you learn today: While CBD is non-intoxicating and won’t cause impairment, it is psychoactive. No matter where it comes from, CBD is CBD. Some cannabinoid users mistakenly think that CBD from marijuana is somehow more potent than CBD derived from hemp. On a molecular level, CBD from hemp is the same as CBD from marijuana. An easy way to understand this CBD fact is to consider vitamin C. No matter whether your body absorbs it through an orange or a lemon, it will treat and use the water-soluble vitamin the same way. While it is true that the percentage of CBD in hemp plants by dry weight is generally lower than the percentage of CBD in some specially bred marijuana plants, once CBD oil is extracted from the plant, this difference becomes negligible. A relatively new theory from Dr. Russo, mentioned earlier, speculates that supplementing the body with plant-based cannabinoids like CBD could possibly be beneficial for addressing the nutritional deficiency. Americans may be at a greater risk for being depleted of cannabinoids since cannabis, both marijuana and hemp, were prohibited in the 1930’s. Eliminating hemp from the diet may have contributed to cannabinoid deficiency issues. Adding CBD oil to your diet could, the theory suggests, augment the body’s own cannabinoids and help the endocannabinoid system effectively balance the body. Of all the CBD facts, this one may surprise you the most. Taking CBD with all the other natural compounds found in cannabis may enhance the compound’s effects. The entourage effect, first introduced in 1998 by renowned researchers Raphael Mechoulam and S. Ben-Shabat, suggests that the sum total of all the chemical compounds in cannabis — including CBD and the other hundreds of plant compounds — act synergistically to provide a more powerful effect. In other words, these scientists and others believe that consuming full-spectrum CBD oil offers greater natural wellness properties than taking isolated CBD compounds alone. Hemp contains more than just CBD. It is made up of 400-plus active compounds, including cannabinoids, flavonoids, and terpenes, as well as essential vitamins and minerals, fatty acids, fiber, protein, and chlorophyll. While CBD on its own has demonstrated undeniable natural benefits, the entourage effect could mean that the compound’s benefits can be maximized when consumed with the other natural compounds found in cannabis. Many people first incorporate CBD into their lives once facing health problems, but CBD offers botanical properties that are beneficial for anyone interested in promoting wellness. CBD’s stimulation and support of the endocannabinoid system may help it continue to run efficiently. Hemp-derived CBD oil also supports the maintenance of a complete and healthy diet. When discussing CBD oil facts, it’s impossible to not mention that in addition to CBD and other trace cannabinoids, CBD oil is also a natural source of many vitamins and minerals, including B complex vitamins, vitamin C, vitamin E, calcium, and magnesium. CBD oil also contains protein, fatty acids, and other dietary nutrients critical for keeping your body running at its best. For healthy people, supplementing the endocannabinoid system, the largest self-regulatory system, with plant-based cannabinoids like CBD is a potential way to maintain optimal health. The balancing effects of CBD combined with the nutritional content of hemp oil will help ensure your body is given what it needs for peak performance each day. Like us, many of our loved pets can benefit from the natural balancing properties of CBD. All mammals, including dogs, cats, horses, and more, have an endocannabinoid system, the bodily system with which cannabinoids interact. A growing number of pet owners are discovering how adding CBD oil to their pets’ diets can be a natural alternative to promote well-being in their pets. CBD’s support of the endocannabinoid system has shown to promote pets’ cardiovascular function, support healthy joints, and promote neurological health and emotional behavior. Also, for many pet owners, hemp CBD oil’s nutritional profile compliments the dietary requirements of their animal. Today, you can buy CBD oil products specifically designed for pets, including CBD oils, CBD liquids, and CBD treats. CBD, provided it is derived from hemp, is federally legal in the United States. While a Ninth Circuit Court of Appeals ruling had allowed hemp CBD manufacturers to operate for years without interference, the passing of the 2018 Farm Bill in late December eliminated any confusion of hemp CBD’s legal status. The hemp provision in the new Farm Bill allows hemp to be legally “cultivated for any use,” including the production and extraction of CBD. It also means that you can legally use and buy CBD oil, without a doctor’s recommendation or prescription. For those curious about cannabinoids and CBD oil facts, this is a big deal. While states can regulate hemp and hemp CBD as they choose, the new federal law will make many consumers familiar with CBD oil benefits more willing to try the variety of CBD oil products that are available to buy. Nearly everyone in the country can legally shop for CBD oil products and have their order delivered right to their doorstep. There is always more to learn about cannabidiol (CBD) and how it can help the endocannabinoid system regulate the body’s homeostasis. Learn more cannabidiol facts through our education page. To start incorporating the natural wellness benefits of CBD oil products into your routine, visit the Medical Marijuana, Inc. online shop today. Russo, E.B. (2017, March). Cannabidiol claims and misconceptions. Trends in Pharmacological Sciences, 38(3), 198-201. 10 of the Most Unique CBD Facts You Probably Never Knew was posted on medical marijuana inc.